Wikimedia Commons has media related to 1715 . 1715 ( MDCCXV ) was a common year starting on Tuesday of the Gregorian calendar and a common year starting on Saturday of the Julian calendar , the 1715th year of the Common Era (CE) and Anno Domini (AD) designations, the 715th year of the 2nd millennium , the 15th year of the 18th century , and the 6th year of the 1710s decade. As of the start of 1715, the Gregorian calendar was 11 days ahead of the Julian calendar, which remained in localized use until 1923. January 13 – A fire in London, described by some as the worst since the 1666 blaze almost 50 years earlier, starts on Thames Street when fireworks prematurely explode "in the house of Mr. Walker, and oil man"; more than 100 houses are consumed in the blaze, which continues over to Tower Street before it is controlled  . Thames Street, divided into Lower and Upper Thames Street, is a road in the City of London, the historic and financial centre of London. It forms part of the busy A3211 route from Tower Hill to Westminster. The London Bridge underpass marks the divide between Upper and Lower Thames Street, with Lower to the east and Upper to the west. July 20 – Ottoman–Venetian War (1714–18): The fall of Nauplion, the capital of the Venetian Kingdom of the Morea , seals the fate of the Peloponnese Peninsula, which is soon completely retaken by the Ottomans. December 22 – James Edward Stuart rejoins Jacobite rebels in Scotland,  but fails to rouse his army. The Kingdom of the Morea or Realm of the Morea was the official name the Republic of Venice gave to the Peloponnese peninsula in southern Greece when it was conquered from the Ottoman Empire during the Morean War in 1684–99. The Venetians tried, with considerable success, to repopulate the country and reinvigorate its agriculture and economy, but were unable to gain the allegiance of the bulk of the population, nor to secure their new possession militarily. As a result, it was lost again to the Ottomans in a brief campaign in June–September 1715. According to Coffee: A Dark History , coffee is first grown this year, in the French colony of Saint-Domingue. Christian August Crusius was a German philosopher and Protestant theologian. Johan Sparre af Söfdeborg was a Swedish count and general. Robert-François Damiens was a French domestic servant whose attempted assassination of King Louis XV in 1757 culminated in his notorious and controversial public execution. 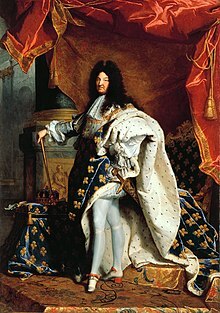 He was the last person to be executed in France by drawing and quartering, the traditional and gruesome form of death penalty reserved for regicides. 1 2 Williams, Hywel (2005). Cassell's Chronology of World History. London: Weidenfeld & Nicolson. pp. 294–295. ISBN 0-304-35730-8. ↑ "Trading Places: Old Dock History". Liverpool Museums. Archived from the original on March 24, 2008. Retrieved 2008-03-24. ↑ "Liverpool: The docks". A History of the County of Lancaster: Volume 4. British History Online. 1911. pp. 41–43. Retrieved 2008-03-24. ↑ Cates, William L. R. (1863). The Pocket Date Book. London: Chapman and Hall.